As we discovered in our first real-world hands-on, HomePod is an extremely compact, yet undeniably loud home speaker. 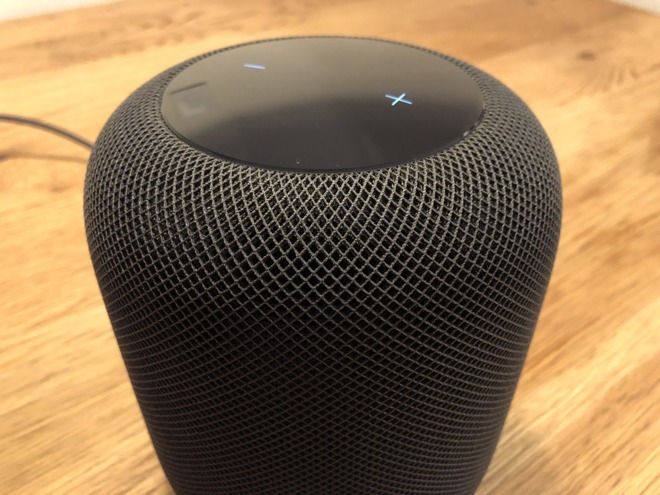 At home in both small apartments and large houses, HomePod's place-anywhere design and built-in beamforming technology generates great sound no matter where it's set up. Siri comes baked in, taking over main controls like content playback, volume management, HomeKit accessory commands and more. As expected, the virtual assistant retains its usual assortment of internet-connected capabilities, including ties to Apple services like Messages and various iCloud features. However, having Siri read your text messages out loud might not be ideal for some users, especially those with cohabitants. Apple lets you deny access to such features, called "personal requests," during initial setup, but doing so disables a number of utilities. Alternatively, users can tell HomePod, "Hey Siri, turn off Hey Siri" or turn off "Listen for 'Hey Siri'" in HomePod settings in the iOS Home app. Both methods, however, make HomePod a much less useful device. Luckily, there is a way to enjoy the best of both worlds, but it might take some practice. The method takes advantage of Apple's solution for triggering "Hey Siri" when multiple Siri-capable devices are in the same room. More specifically, users can manually trigger "Hey Siri" on an iPhone or iPad rather than HomePod, allowing for more discreet question and response sessions. According to Apple, when a users says, "Hey Siri," near multiple devices that support the feature, the devices communicate with each other over Bluetooth to determine which should respond to the request. "HomePod responds to most Siri requests, even if there are other devices that support 'Hey Siri' nearby," Apple says. There are exceptions to Apple's algorithm, however. For example, the device that heard a user's request "best" or was recently raised will respond to a given query. Use this knowledge to your advantage to create exceptions to the HomePod "Hey Siri" rule. When you desire a bit of privacy, simply raise to wake a device and say "Hey Siri." 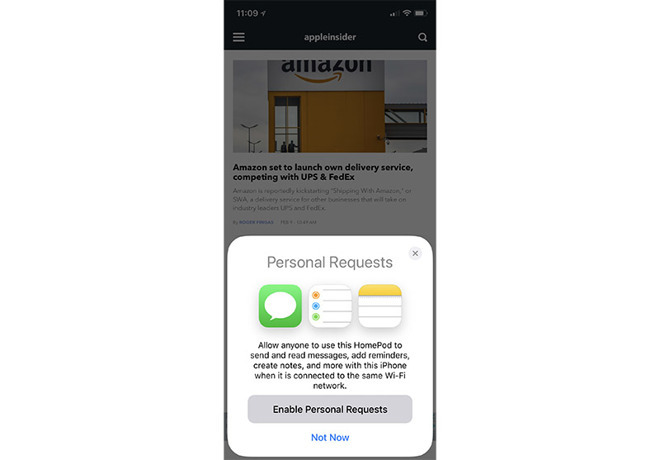 A more direct method involves pressing the side or wake/sleep button on an iPhone or iPad to trigger the virtual assistant, which will interact with a user from that device, not HomePod. On the other hand, if you want to ensure HomePod gets the message rather than an iOS device, place your smartphone or tablet face down. Doing so disables the "Hey Siri" feature, meaning all "Hey Siri" calls are routed to HomePod. If you're having trouble with "Hey Siri" or if more than one device is responding to the voice trigger, ensure that all devices are running the most up-to-date version of their respective operating system.